Secure parking facilities on Bourke Street and Exhibition Street. 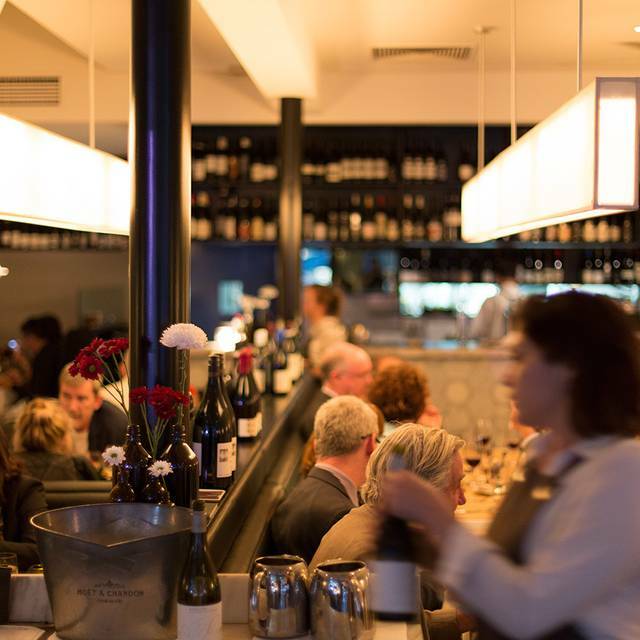 Bottega is located on "Paris End" of Bourke Street in the heart of Melbourne's CBD. The soft lighting and comfortable seating creates an intimate and friendly atmosphere. Come with a partner or with a small group of friends before a night on the town. 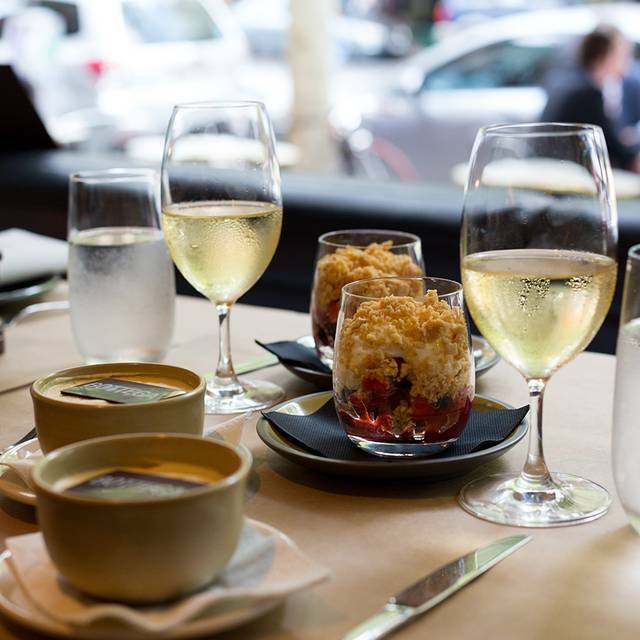 Bottega offers a special pre-theater menu that has options of two courses of either an entrŽe and main or main and dessert or a three course of entrŽe, main and dessert. 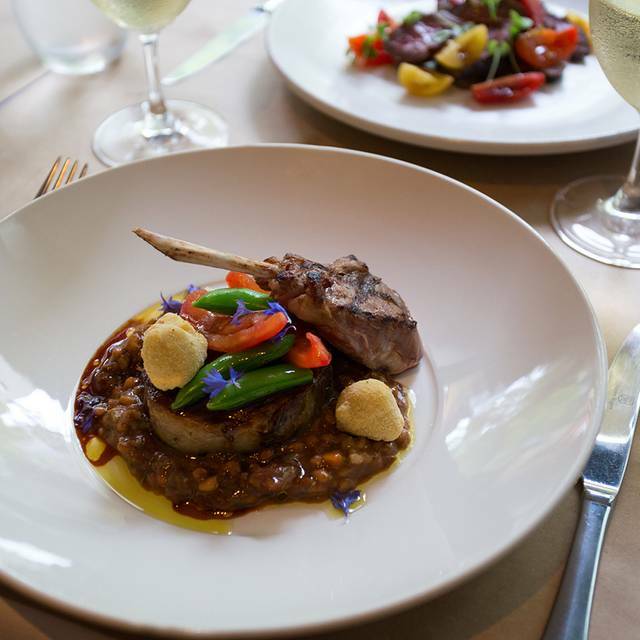 Enjoy delicacies such as the charcoal grilled squid and chorizo or the chargrilled Western Plains pork belly. 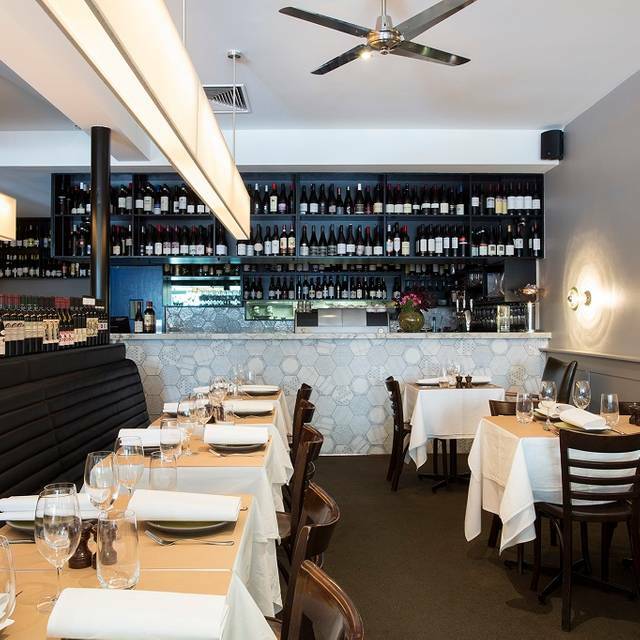 Other options include chargrilled Tasmanian salmon, twice-cooked lamb shoulder and butterflied spatchcock. Pair any dish with an international wine for the perfect dinner. 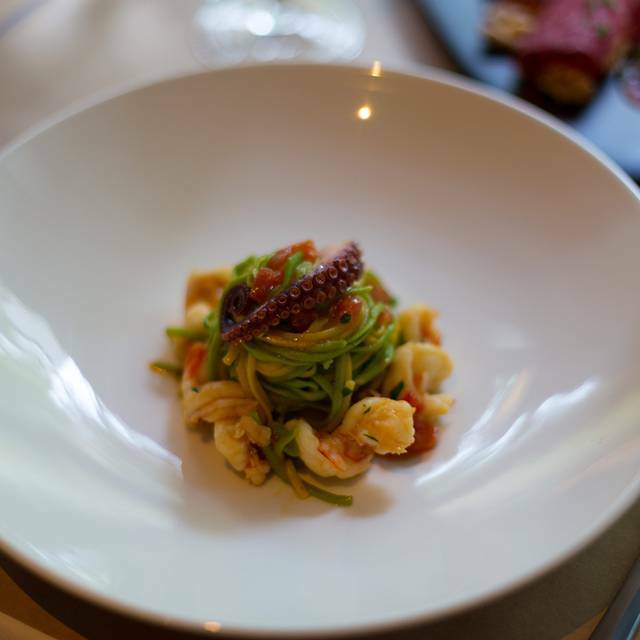 Bottega offers private dining that is flexible enough to accommodate ten to 60 people. Reserved space can be used for corporate lunches or events, Christmas parties or birthdays. Large wine dinners are accommodated and hosted with ease. 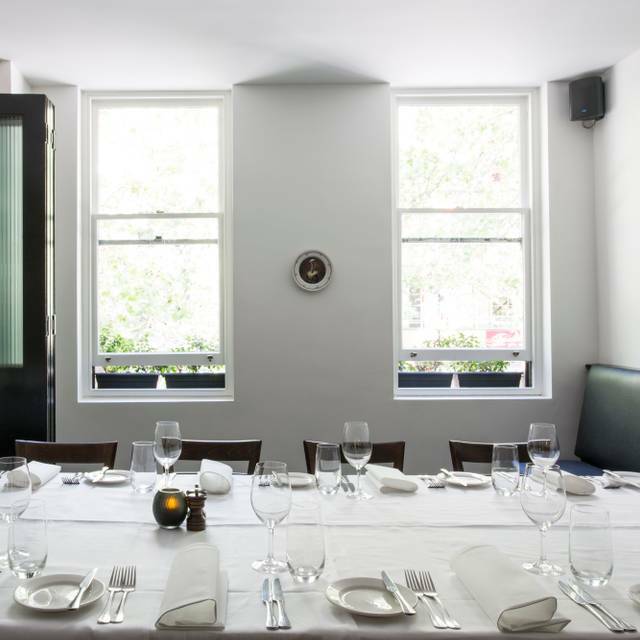 We offer flexible & intimate spaces for private dining & can accommodate groups from as little as 10 or as many as 60. We ordered the salumi misti for the entree and it wasn’t enough, I asked to share for 4 people and it wasn’t enough for even one, and it was very expensive, the food in general was tasty and I thought the portion sizes of the pasta dishes were decent but at the end of the day it is just pasta and the prices were a tad exorbitant. Tiramisu was quite delightful. We had a wonderful night at Bottega. Great food, excellent service and lovely ambiance. Really nice place to enjoy a beautiful dinner. Didn't have to wait very long at all for the meal despite it being fairly busy. Entree was beautiful. Serving sizes are on the small end. food was okay, definitely not worth the price we paid for it, my 'Lakes Entrance octopus Linguine' came with one very small tentacle on top of the already tiny serving. very disappointing considering the claim 'melbournes best italian food'. i think not. however, very nice place though i must say, quite romantic. just wish the food was as good. The main gripe we had was with the $54 charge for tap water that had been carbonated through a Vestal Zipp system. 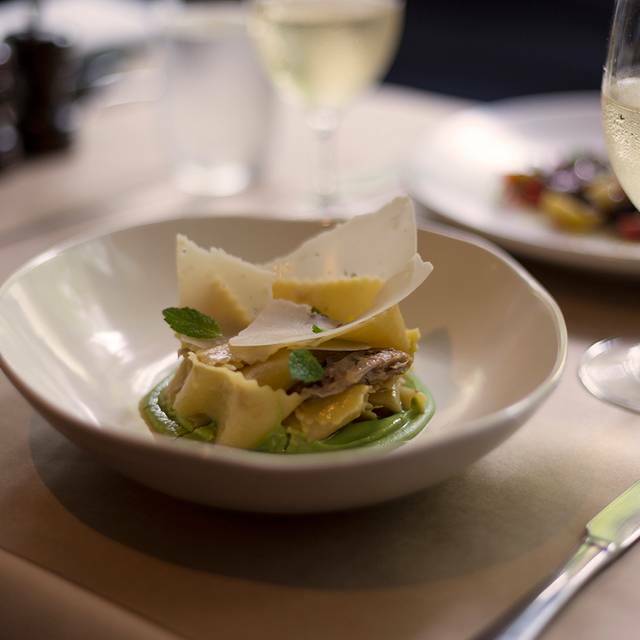 We pre-purchased a matched five course meal with Northern Italian wines from Piedmont at $125/h ($500 for 4 ppl). Some meals were not to our liking but others where excellent - the tortellini and the bitter chocolate amaretti pudding were stand outs. Staff were quick and efficient without lingering for too long. We paid upfront for set menu @$125/ person and was asked on arrival if we preferred tap or sparkling water, we chose sparkling but when we were leaving we were presented with an extra bill for $54. Thank god the pasta dish was ok. Service was sad, wine pours were fractional and food was mediocre. 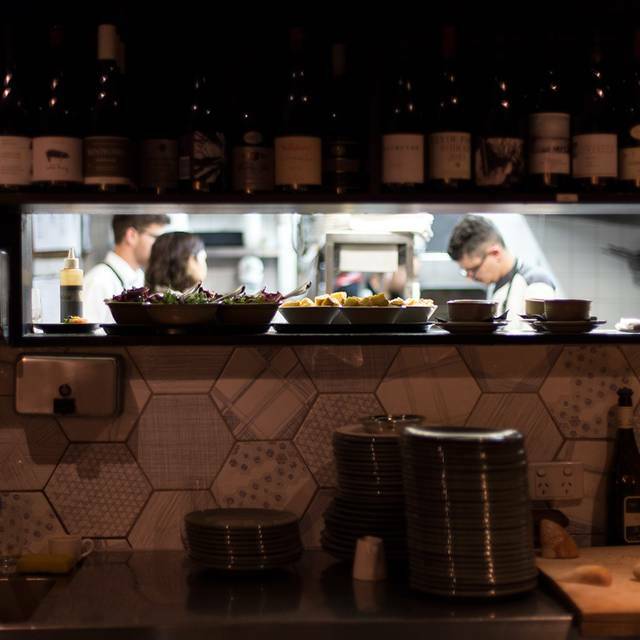 The melbourne food and wine festival should showcase the best the restaurant can offer. Guess this was just a way to make a quick buck for them. Shame. Tasty main course what there was of it. Rocket greens salad fair. I booked at Bottega for the special set menu Valentine's Day dinner for myself and my wife and went home disappointed. Whilst the ambience was nice and the service very attentive, we were disappointed with the quality of the food served for the set menu price of $140 a head with no choices available. Most of the dishes appeared as though they had been prepared well in advance and didn't look the best when served to the table. The seafood antipasto included some nice variety and very tasty pieces, but many of them looked a bit worse for wear on the plate and not very appetising. The scallop ravioli was cold and overly salted and the duck confit leg was tasty but the breast was tough. My wife is not a duck eater, so I pre-arranged for her to have an alternative main course. I was expecting they would offer her a chicken or fish or beef dish, but instead provided a vegetarian eggplant dish which was unimpressive and cold. The desert was fabulously presented and delicious. Previous meals here have been very good, but this was a big disappointment for a very expensive Valentine's Dinner. Very pleasant Dinner with friends from Sydney. Food was good. Service not up to usual standard .... one of our main meals arrived over 5 minutes after everyone else and glasses were left empty for long periods of time. Very friendly and professional customer service and fantastic food varieties. Must try scotch fillet steak. Food was outstanding but didn’t feel the service matched it. Staff not very attentive and not overly friendly. 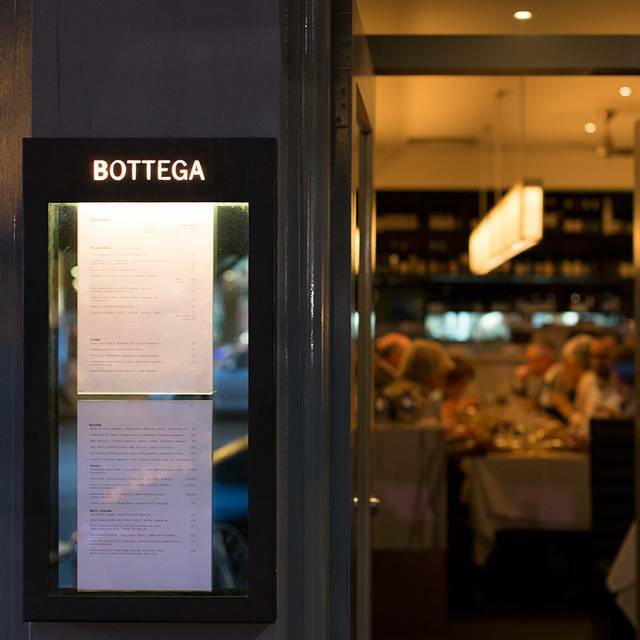 Have eaten at Bottega many times over the past years. Have always enjoyed it very much. Was a little disappointed on this last visit with a couple of our menu choices. This used to be a favourite, often visited. Sadly, a return visit after a long absence proved most disappointing. Ideal location close to theaters & hotels, food outstanding, a must ! Ambiance was terrific and service was very good. Unfortunately the duck was tough, very disappointing. The handmade pasta with duck was simply amazing. And staff is very attentive and customer orientated. Highly recommend it. We celebrated a special birthday occasion for one of our group with dinner. The food was superb and the service excellent, Bottega were very accommodating by allowing us to move 2 tables together for our group. Thanks again, we will return soon! It was amazing! Very romantic and the food was spectacular! I loved the ricota nhoque! The waitress are very friendly. Everything was superb. All of the dishes were outstanding as was the service. The staff’s goal of ensuring that patrons had a memorable experience was truly evident. Fabulous evening . Delicious food , superb atmosphere and wonderful attentive staff. Perfect for a special occasion. We were visiting from Sydney and visited for a date night. Food was very good and a healthy wine list with plenty of choice of local and Italian wines. The food was delicious, and it matched the incredible service and upscale atmosphere. I will return when I am in town, and considered a second visit during my short time in Melbourne.